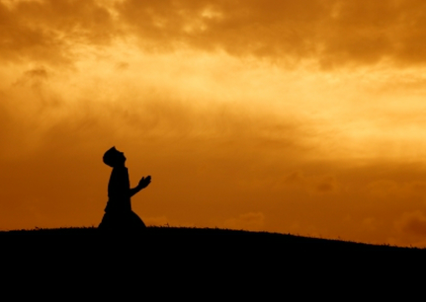 Everyone who prays, prays with the hope that his or her prayer will be answered. We do not pray just to feel better, or because we do not have a better thing to do. When we come before the Lord with a request, we would like to have an answer. Because of that I would like to share with you seven prayers that God will respond. If you align your prayer with one of those, or a combination of them, chances are that God will listen to you. “You, my God, have revealed to your servant that you will build a house for him. So your servant has found courage to pray to you. 1Chronicles 17:25.” The other one is, “For no matter how many promises God has made, they are “Yes” in Christ. And so through him the “Amen” is spoken by us to the glory of God. 2Corinthians 1:20.” And the third one is “This is the confidence we have in approaching God: that if we ask anything according to his will, he hears us. 1John 5:14.” In the first verse we learn that the prayer was encouraged by the promise that God made. In the second verse Paul tells us that Jesus is the “Yes” for all the promises that God made. And in the third one John tells that if we pray according to His will He hears us. The second prayer that God responds to is the one offered with faith. Faith here is trust and confidence. We believe that what we are asking from God will give to us. Here are some well known texts about this. The first one is: “If you believe, you will receive whatever you ask for in prayer.” Matthew 21:22” The second one is “Therefore I tell you, whatever you ask for in prayer, believe that you have received it, and it will be yours. Mark 11:24.” In these two text we have Jesus himself promising to answer those prayers. The last text is from the letter of James: “And the prayer offered in faith will make the sick person well; the Lord will raise him up. If he has sinned, he will be forgiven. James 5:15.” James is specific when he writes: “and the prayer offered in faith.” If we do not believe in what we are asking, God will not give it to us. The third prayer is the one that perseveres. It is clear that we should pray until we get some answer. There are three possible answers for our prayers: YES, NO, or WAIT. Until we get one of them we should keep pressing. At least this is what the Bible tells us. Here are some verses that emphasize this truth: “Then Jesus told his disciples a parable to show them that they should always pray and not give up. Luke 18:1.” “They all joined together constantly in prayer, along with the women and Mary the mother of Jesus, and with his brothers. Acts 1:14.” “pray continually; 1Thessalonians 5:17.” Do not give up on your prayers. Keep praying. God will listen and will answer them. “if my people, who are called by my name, will humble themselves and pray and seek my face and turn from their wicked ways, then will I hear from heaven and will forgive their sin and will heal their land. 2Chronicles 7:14. “And when you stand praying, if you hold anything against anyone, forgive him, so that your Father in heaven may forgive you your sins. Mark 11:25.” But the best one is in the first letter of John, “f we confess our sins, he is faithful and just and will forgive us our sins and purify us from all unrighteousness. 1John 1:9.” Because we are humans we know that we are going to sin once in a while, but we should know that God is always ready to receive us back and to forgive us. The fifth prayer that God will answer is the prayer made in the name of Jesus. It is important for us to understand what that means. For some people praying in the name of Jesus is just the a way to end his or her prayer, it is the exit of the prayer. We know that after “in the name of Jesus, amen!” we can go on with whatever we are supposed to do. In the name of Jesus means that we are in praying in His authority, and that our prayer should be consistent with His character. We pray based on His merits. Here are some texts that teach us that: “And I will do whatever you ask in my name, so that the Son may bring glory to the Father. You may ask me for anything in my name, and I will do it. John 14:13-14.” “You did not choose me, but I chose you and appointed you to go and bear fruit — fruit that will last. Then the Father will give you whatever you ask in my name. John 15:16.” When we pray this way we know that, we will receive what we are asking for. The sixth prayer that God will answer is the prayer that will bring glory to Him and His Name. Here are some texts that help to understand that: “We pray this so that the name of our Lord Jesus may be glorified in you, and you in him, according to the grace of our God and the Lord Jesus Christ. 2Thessalonians 1:12.” “And I will do whatever you ask in my name, so that the Son may bring glory to the Father. John 14:13.” And finally the one in Corinthians where Paul writes that everything that we do, including prayer, should bring Glory to God. “So whether you eat or drink or whatever you do, do it all for the glory of God. 1Corinthians 10:31.” We are asking something that will bring glory to God and exalt His name. This is not a final list of prayers that God will answer. These are just a few of them in a long list. But they will help you to start improving your prayer life. Thank you for that teaching it helped me to under stand better in my prayer life.